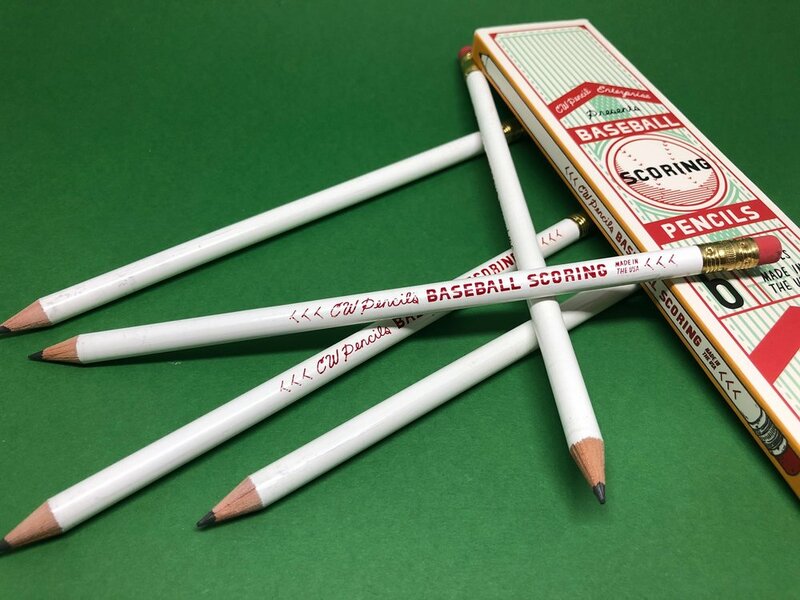 CWPE x General’s Baseball Scoring Pencil. Spring is officially here, and with that comes that start of my favorite sport: baseball. Teams are finishing up spring training, getting ready to compete on an almost daily basis for the next 5 months. It's a time where each team starts on the same level, and from here, anything can happen. Well, apparently it's the same in the pencil world, because a thing that almost never happens just happened: CW Pencils got General's Pencil Co. to make a special pencil just for them. It probably doesn't hurt that CWPE is probably one of their biggest retail clients, or, at least among the pencil fans among us, the online retailer with the most cachet. But it seems that General's basically never makes special pencils for people, leaving that business (in the US, anyway) to Musgrave. But that is no more. I, for one, hope this is a first step for General's...but I won't hold my breath. So what about this pencil? First off, it's round. Oh man, it's nice to have a round pencil. Every time I pick up a round pencil I remember how nice they are to hold, and how rare they've become. Sure, you can get crappy round pencils with all sorts of cheesy designs on them, but a well-made modern round pencil is becoming harder to get. The barrel is painted white with a red paint imprint, like a clean white baseball with the red stitches. 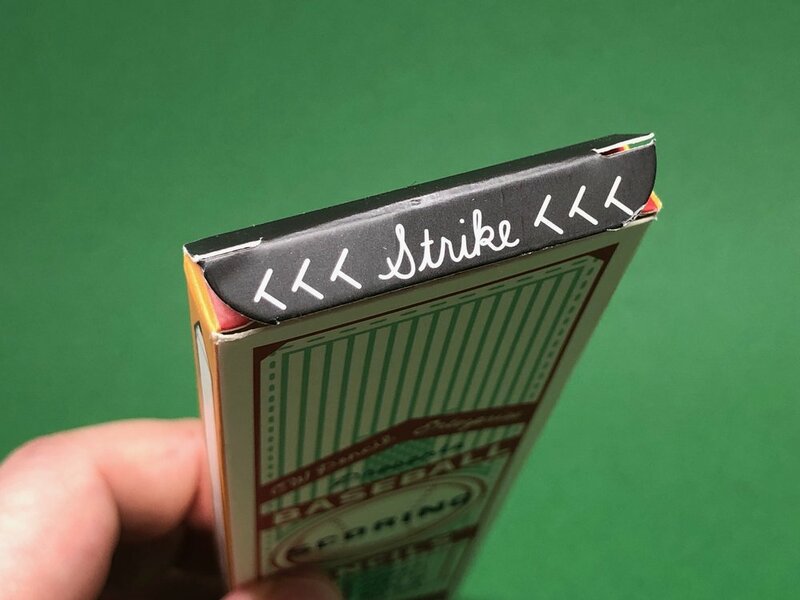 In fact, it has stitching drawn on either side of the imprint, which says "CW Pencils" in a handwritten cursive, then "Baseball Scoring" in a bold, somewhat-handwritten looking font, then a tiny "Made in the USA", also handwritten looking, but italicized. One con about this pencil right off the bat: the imprint smudges really bad. I've actually never encountered this with a pencil, but if you wipe your finger, even a sweat-free dry finger, across the imprint with any force whatsoever, you will smear the imprint down the barrel. It's a stain on an otherwise great pencil, and something to watch out for. Not recommended for people who hold their pencil behind their sweaty ear or chew on the barrel, and on a hot summer day at the ballpark, if your hands are sweaty, they might end up with paint on them. Some people have shown some of the white paint to be really cracked in their photos on Instagram and other places. While I have some minor cracking in my box of six, it's not on the "send them back, these are junk" level. The ferrule has a classic brass look. It's a standard ferrule, no striping or anything fancy. It holds a lovely soft eraser. I've always like the erasers on the Semi-Hex and the Supreme, and this is no exception. It erases quite well on normal paper, but something with a little more tooth, it has a bit of a tougher time. Where it shines, however, is on the shiny card stock that a lot of scorecards you get at baseball games come on. The core is dark enough to actually show up on those, and the eraser gets rid of any mistakes quickly. 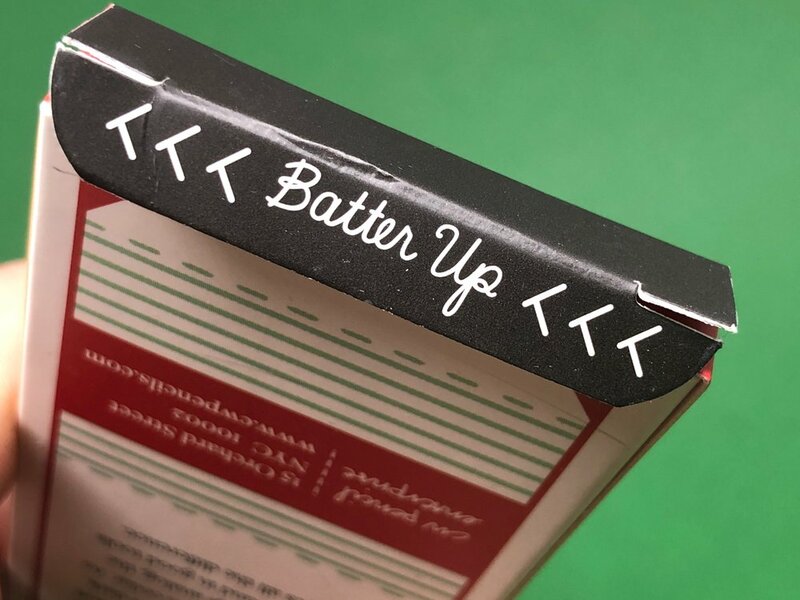 Lovely boxes with neat little details. Something happened with the paint here. Hope it gets fixed in subsequent runs. The core is great. It is soft and works well on that crappy scorecard as well as on good paper. It's definitely a B or softer. I would think it comes from the core selection that General's already uses, but that could definitely not be the case; I just don't see them making a whole new core just for this pencil. They tout it as "smudge-proof enough for toothy card stock" but I didn't find this to be the case. If you have a light touch, maybe. For my heavy hand, it did smudge, but it could be worse, I suppose. It reminds me of the #1 core in the Cedar Pointe, the Supreme, or the Semi-Hex. It worked really well in my Eephus League Halfliner Scorebook. But my one problem with a soft pencil and keeping a scorebook, there are a lot of little tiny areas that you need to fill a lot of info into, and the pencil needs to stay sharp. Hard to do with a soft pencil, without constant sharpening. So definitely bring a sharpener with you to the ball park...you can mix the shavings in with the peanut shells under your seat. I always have the Brass Bullet Key Ring sharpener on my person, so I'd probably use that one...the best tool is the one you have with you, right? Overall, this is a good pencil. The smearing of the imprint paint and the cracking of the lacquer seems like a miss, but that could just be a production error that they fix in subsequent batches. I love the soft core and soft eraser, and have been waiting for a quality SOFT round pencil. 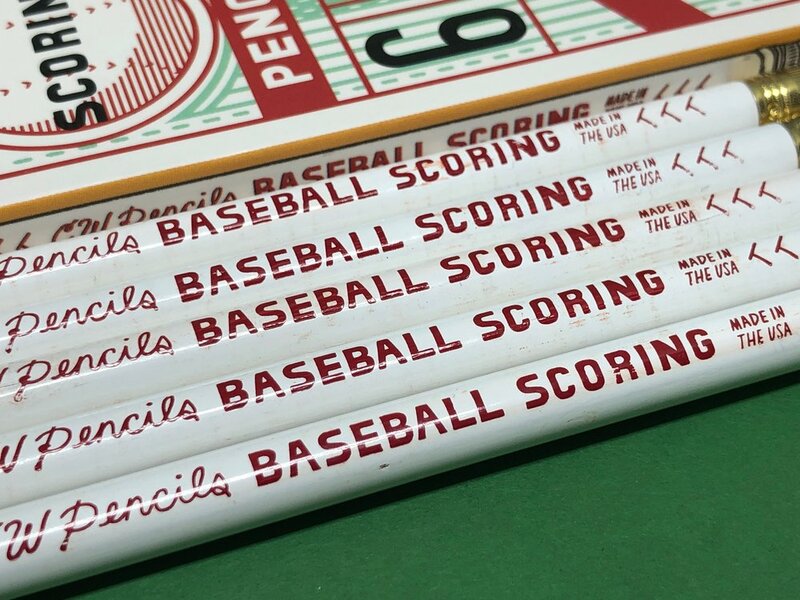 Even if you don't like baseball or sports in general, if you like pencils, you'll likely enjoy this one. They're pricey at $2 per pencil, but buying a box of six at $10 gets them down to $1.67 per stick, and then you get the neat little box that CWPE designed. Available from CW Pencils, $10 for a six-pack.